The ultimate guide to Niederau ski holidays in 2019 & 2020. Set within Austria’s stunning Wildschonau Valley, Niederau offers the perfect base for skiing the entire Ski Juwel ski area. Oozing Tyrolean charm with a friendly atmosphere and a laid-back après scene, beginners can learn at a peaceful pace and intermediates can take advantage of the excellent links to explore the Kitzbühel Alps. 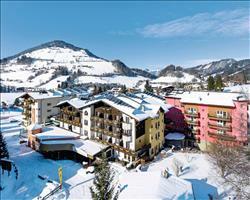 This charming West Austrian village sits at the far end of the picturesque Wildschonau mountain range in the Ski Juwel ski area. With easy links to the surrounding ski area and an enjoyable après ski buzz, Niederau is the perfect base for skiing this beautiful valley. Just a two hour transfer from Innsbruck airport, it’s known for its exceptional value- with so much to offer it’s no wonder this resort is a favourite gem amongst many skiers. The town itself is brimming with traditional Tyrolean character and quaint alpine charm with a friendly atmosphere, laid-back après buzz and easy links throughout the valley. Cosy hotels, lively bars and authentic restaurants are scattered throughout the picture-postcard village with the main après hub taking place around the base of the main gondola. You can take memorable excursion on the ‘Slow Train’ to see some breath-taking views of the mountains, go for a moonlit toboggan ride or spend the evening sipping the local delicacy of white turnip schnapps all accompanied by a wonderful skiing experience on the piste. The friendly atmosphere and unhurried pace on the piste make this an ideal resort for families and beginner groups and with some excellent ski schools on hand beginners are sure to fall in love with the snow straight away. Whilst the resort is renown amongst British skiers as Niederau, recent re-branding has renamed it under the Wildschonau ski area- making up part of the ‘Ski Juwel’ region. 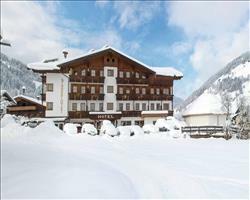 With the Wildschonau pass you can ski Niederau along with Oberau and Auffach, plenty for those just starting out or gaining confidence whilst the Ski Juwel pass allows further access to the larger resort of Alpbach which is accessed by a 15 minute ski bus to Auffach and an 8 man gondola to Inner-Alpbach. View our detailed Niederau snow forecast or snow report and see all live webcams, piste maps, road and travel maps and lift pass prices. For a picture of historic snow conditions see the snow depths month by month with our Niederau snow history. 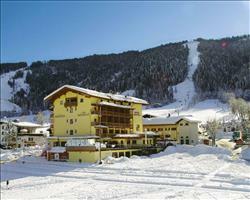 The ski area is located within the Wildschonau Valley and part of the Ski Juwel area which includes the resorts of Oberau, Auffach and Alpbach making up 145km of varied terrain linked by ski bus and a new 8 man Gondola at Auffach. It is ideal for those just starting out on the snow with excellent nursery slopes, friendly ski schools and a relaxed pace on the piste so beginners can happily learn at their own pace. The ski schools cater extremely well to beginners- Happy ski school is specifically for first timers and 1st ski school has a children’s club for ages 2-6. The red runs vary in difficulty - those with some experience on the mountains will find some exciting terrain to test their skills whilst the more confident can try challenging descents like red 19, a steep vertical ideal for speed daemons. Anyone looking for more difficult terrain can get the free ski bus (included in the lift pass) to Auffach which is the best ski area for intermediates in the valley with a number of tougher red runs - the 7km red 13 running from the gondola at Auffach is a favourite - from here you can join the 8 man Gondola over to Alpbach if you want more terrain to explore. Back at Niederau the black runs make for a thrilling descent. Take the M2 chair from the base to Lanerkopfl peak, from here you can tackle the steep black 16 and 15 all the way back to the resort - take a detour through the trees if you’re feeling daring. There’s a Boardercross which is easily accessed from the red 24 and long, windy 19 for those after a bit of competition and freestylers can head over to Auffach for its snow park. 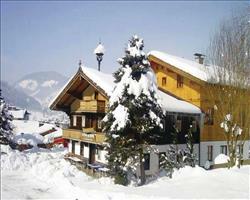 You’ll find a laid-back atmosphere here with a number of lively bars for that all-important après ski. At the base of the main Niederau gondola a number of bars await the arrival of thirsty skiers celebrating their day on the snow with a warm glass of glühwein - the most popular is Bobo’s Heustadl where you’ll find a nice friendly atmosphere. Later on, the Cave bar is place to be for post dinner drinks – it’s usually open until the early hours for those wanting to carry on the party. O’Malleys Irish pub is another popular watering hole. Many of the hotels have on-site bars and restaurants so if you’re travelling as a family you can wind-down with evening drinks without leaving the younger ones. Many of the bars in the town are also family-friendly (until about midnight). Those wanting to venture out for a casual evening could try the Pizzeria Ferrari or Milano and you can sit down for a gourmet meal of local Austrian cuisine at Der Wastlhof. The ‘Slow Train’ excursion to the moonlit toboggan run in Auffach is great fun for the whole family and a must do when visiting the valley - after a leisurely ride up the mountain and a glass of glühwein to calm the nerves, toboggan the 5km run back in to the resort. The Night-liner runs every evening from 8.00pm until 3am (free with the Wildschonau pass) transporting skiers through the valley so everyone can make the most of these evening entertainments. The ‘Leisure Train’ is also a wonderful excursion which reveals some of the most beautiful scenery in the valley on a journey over to Schonanger Alm and if you fancy a day of pure relaxation, the spa facilities offer the perfect way to wind down. 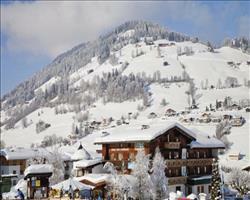 When is the best time to ski Niederau? This valley benefits from a peaceful piste and even at peak times you’re not likely to be met by the same crowds as you would find in the larger Austrian resorts. As a popular resort for learners and families, the ski schools take up a large proportion of the beginner slopes especially during the high season, whilst further up the mountain, the intermediate and red runs are less likely to attract the crowds. You’re likely to get the best snow during the winter period but with nearly 90% of the piste covered by snowmaking technology and a North facing piste, Easter conditions are by no means a write-off and on years with good snowfall you could be skiing throughout April. Niederau’s friendly atmosphere and unhurried pace on the piste make it a favourite Austrian resort for a family getaway to the snow. 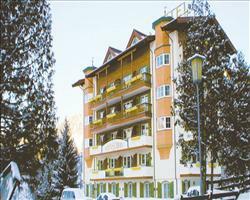 We have the best hotels for families which you can browse below – overlook the kindergarten and nursery slopes in a prime location with doorstep skiing at Hotel Alpenland or stay a short stroll from the heart of the resort at Hotel Sonnschein. Some of our hotels have wellness facilities and those travelling with children who are too young to ski could look out for properties with childcare services. Hotels are available in a variety of board options - choose B&B for freedom with meal times or a half-board option making dinner easy for the whole family. 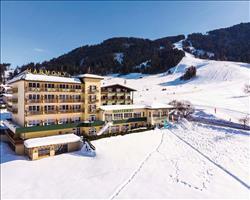 Many hotels have on-site bars so parents can wind down with a Glühwein without leaving the property. This ski area is terrific for parents bringing their children on first and second skiing trips as the ski schools here are highly rated with friendly instructors and fun learning techniques. Excellent ski schools for children and beginners are ‘Happy’ which is specifically for first timers, ‘Toni’s’ with its own children’s slalom run and ‘1st ski school’ which runs Bobo’s kinderclub for 2-6 year olds. Parents can happily leave their youngsters in the hands of the instructors and cruise the runs in the local area or explore the skiing at Auffach and Alpbach for some more intermediate skiing. The après activities are well suited to all ages - the moonlit toboggan ride is a must while you’re here. The ‘Slow Train’ which takes you to the toboggan ride goes from the main station at Auffach so hop on the easy 15 minute Night Liner from Niederau to enjoy this fun-filled evening. For an afternoon away from the skis, take a wonderful mountain train ride on the panorama trip to Thierbach where you’ll pass some stunning mountain scenery - a memorable day trip for the whole family. For the cheapest and easiest way to book, choose one of our packages with flights and transfers or if you’re looking to drive yourself we have self-drive packages with channel crossings included. Booking accommodation-only is also available, just have a browse in our independent travel section or call our friendly experts with any preferences! 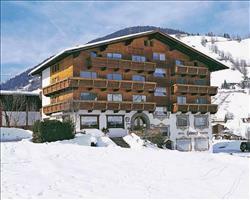 Excellent ski schools, a variety of terrain stretching across the ski Juwel area and a lively après scene at the resort make this an ideal destination for a group getaway to the piste. Browse all our favourite group accommodation below for unbeatable prices. 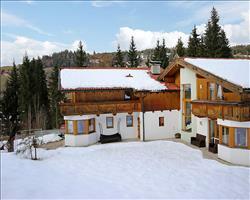 Most of the accommodation is just a short walk from the slopes with some offering doorstep skiing. 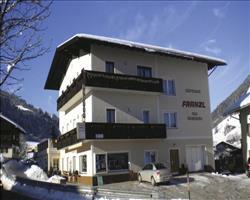 The large Hotel Herfenwirt is brilliant for big groups - its large lounge and dining area are perfect for relaxing evenings and it also sits in prime location near the ski lift and village centre. 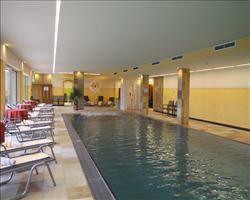 Hotel Sonnschein is another recommendation- just a short stroll from the main hub. Our hotels come in a variety of board options so you can choose to have meals included or opt for free rein with dinner times. If you’re looking for great value, try our self-catered apartments like the Almdorf cabins which are a little further out and ideal if you’re looking to spend some quality time in your own space. Niederau is the ideal base as if you’re a mixed ability group - beginners can gain confidence with the ski school or on steady blues while the more confident take off to Auffach where there are a number of more challenging red runs or get the gondola to Inner-Alpbach for more adventure. As the liveliest resort in the valley, groups looking for a buzzing après scene will enjoy the nightlife here. Whilst there’s a laid-back atmosphere in the town, a number of lively bars are great for evening drinks. 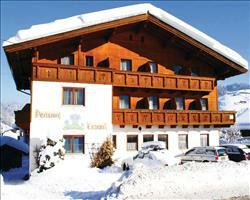 After you’ve worn yourself out on your skis and boards, head down to Bobo’s Heustadl next to the main Gondola. For drinks later on, the most popular venues are the Cave bar and O’Malley’s. The moonlit toboggan ride at Auffach makes a very fun evening - after taking the ‘Slow Train’ up the mountain, calm the nerves with a glass of glühwein and descend the 5km run back to the resort- a thrilling ride and one not to be missed, just hop on the free night liner to Auffach which runs from 8pm until the early hours. "Learned to ski here and keep coming back!" We’ve thought about going to other resorts but keep coming back here as we like it so much. The transfer time is pretty good as you’re quite near Innsbruck (1-1.5 hours – we flew into Salzburg once which took 4 hours!). The area suits us as intermediate skiers and there’s plenty of skiing for beginners, we all learned to ski here. The ski school is really excellent; we went back and rejoined some of their classes for a refresher and the instructors are so friendly and patient. They’ve recently opened up the Ski Jewel area which you can ski over to if you want to do more miles. The village itself is fairly quiet, not that great for young people as there are only one or two bars. We usually go to Niederau around late February and the snow is usually good, it’s not that high up so as you get towards the end of the season the conditions probably aren’t so good. "Walking and skiing holiday in Niederau"
We flew from Gatwick to Salzburg and the whole journey went very smoothly, though it might have been better flying into Innsbruck. Niederau is a lovely village, very central with not many shops and only one or two restaurants. They’d had a green Christmas here and there wasn’t a lot of snow until 2 days after we’d left – this was a shame for our daughter and her friend who had to ski on ice, but didn’t affect us as we were here for the walks. There’s a good bus service with some lovely and scenic walks in the area, we went up and across the valley, from village to village, finding coffee places along the way - we did about twelve miles one day. There’s an information centre in the village where they organised walks and we did some routes from there. They also organised a trip to Salzburg, it was a long, 8 hour day and we only spent about 4 hours in Salzburg but it was worth the journey, Salzburg is a lovely city to see with quite a lot to do there. 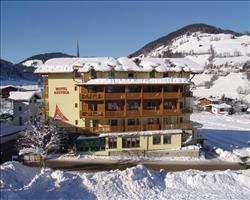 "Good skiing, bars and walks"
Niederau’s a lovely place and the skiing’s good. We visited in the middle of March and the slopes were very well groomed and quite quiet. They were a bit icy which may not have been perfect for beginners but I’d rather have ice than slush! If you’re into walking you’d love it as there are lots of nice walks in the area. One thing worth knowing is that the buses close early when coming back from Auffach, we just about managed to catch the last bus and it was at around 4pm. There are some really nice bars, everyone’s very friendly there. We had a lovely week. Niederau’s fine for intermediate skiers (which I am) but if you wanted more of a challenge you’d have to get on a local bus and go to the next resort down the valley. There was plenty to keep me occupied and the snow was good considering it was quite late in the season. There’s not a lot on in the village – this isn’t a young person’s resort in terms of après ski, but for families and couples it’s great. "Very small but a good week’s skiing"
Niederau is a nice little place, small and quiet. There’s just one main street and that’s about it – we got to the resort early around mid-morning and there weren’t many shops or cafes where we could stop and have a drink. The skiing was fairly well managed and wasn’t too crowded. We had good snow even though it was March, there were only a couple of runs that had bare patches. There were enough runs for my husband and I, I like blacks and he prefers reds and blues. If I was charging around with someone else it might be a bit limited, but for the two of us skiing together it was fine. 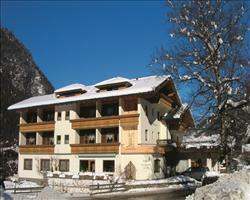 "Nice village, friendly locals, good beginner skiing"
It’s a nice area and the people are very friendly. The bars are mainly hotel bars but there are one or two disco places. At the bottom of the slopes there are 2 little bars/cafes where you stop off for lunch or a quick drink – everything is decked there and because there was poor snow the decking was very exposed and damp, there are a couple of wooden steps going down to one where my partner injured herself so watch out for slippery bits! We are beginners and there is certainly enough here for us. We met a couple who were coming down red runs and they enjoyed it for their level too. Considering the snow was so poor (if you looked across the valley to the south facing slopes it looked like summer), the slopes were very well groomed. The nursery slopes were always open and the main slopes were almost always skiable, you could always go right from the top to the bottom. First time in Niederau, it’s a nice resort – if you wanted a change of scenery, you could catch the bus to another ski area, so there was plenty of variety. There isn’t a lot going on in the village so it wouldn’t be good for youngsters; the hotels had restaurants but there aren’t any actual restaurants or fast food places like you get in other resorts, so I’m glad I had a half board booking. "Best for learning to ski & up to reds, not for advanced"
Niederau is a small resort, quite low. It’s not a brilliant resort for advanced skiers but really good for learning to ski with beginner runs high up, an excellent ski school and easy red runs to progress onto. It’s great for families with mixed abilities and 3 of the best runs are at the top of the mountain. There aren’t many restaurants, most are associated with the hotels but we really liked the food at Pizza Ferrari. "There’s nothing like being first on the slopes!" It was very quiet which is not what I’m used to when I go on ski holidays! Normally I go away to one of the big French resorts with a large group of friends. It was more sedate here – it’s a family orientated place really. It was nice to focus on skiing rather going out for a change. We had a really nice time just the two of us, and it was good to relax and come home refreshed rather than exhausted! I think I improved quite a lot while I was here. Unfortunately the snow wasn’t great, although that wasn’t your fault or the resort’s fault, it just meant that we had to take the bus and go further afield. The other areas were nearby and it was easy to get on the bus, so it wasn’t a problem. I realised before we came that the snow might be tricky after having looked at the forecast. One day we were the first on the slopes and it was amazing, really incredible, one of the best experiences I’ve ever had. It is well worth getting up early for.